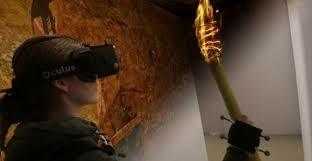 It is often reported that Virtual Reality is isolating and not a social or shared experience. Well this is a great example of people interacting in a shared space with the wonders of VR. Awesome work. Just shows the beginnings of where this tech is going and sooner than people think.